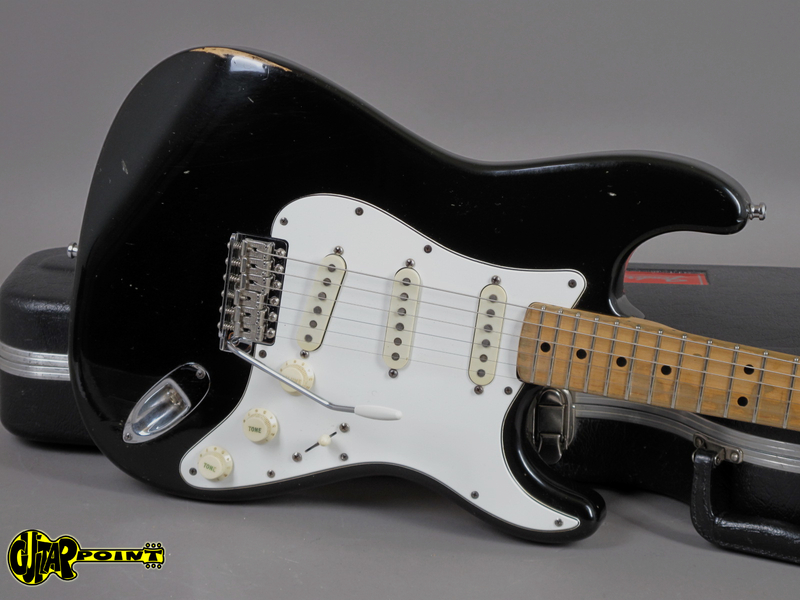 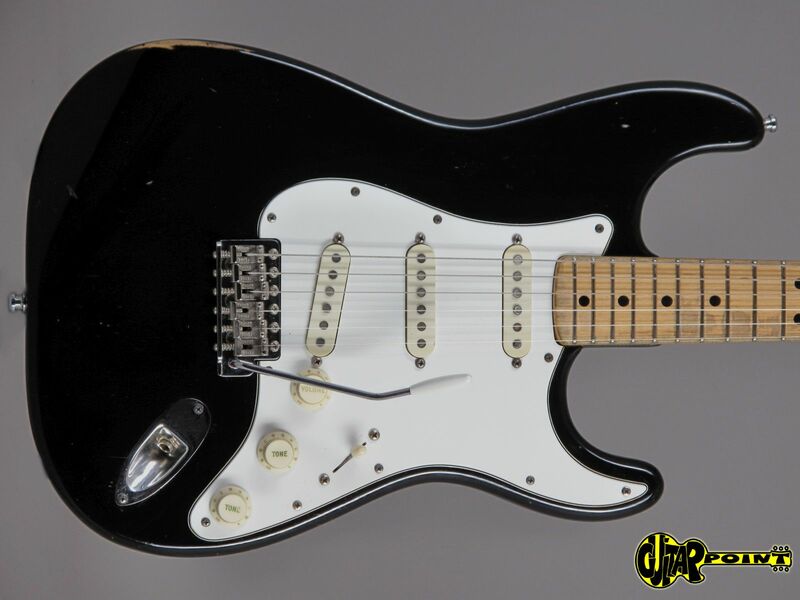 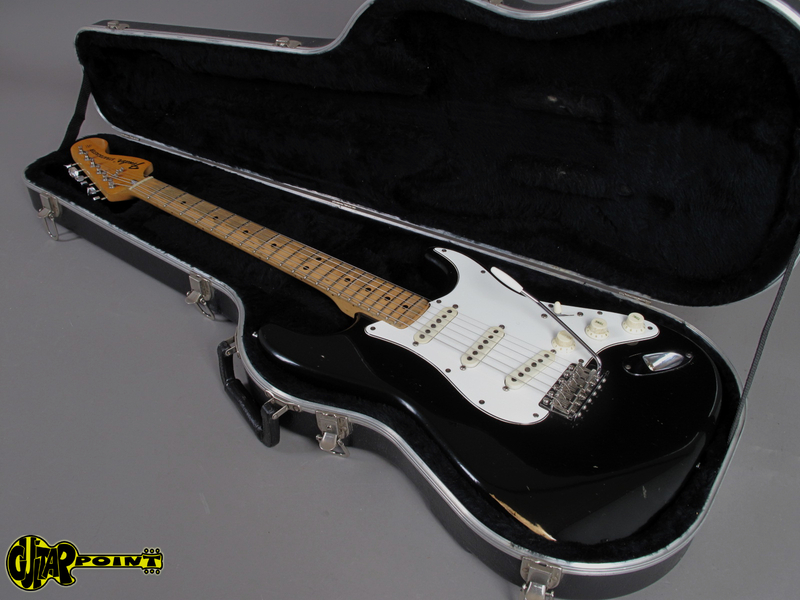 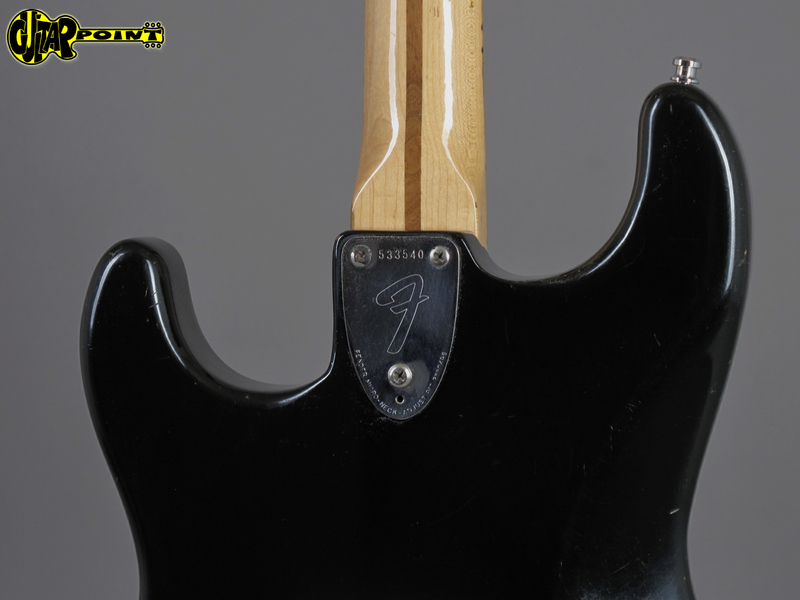 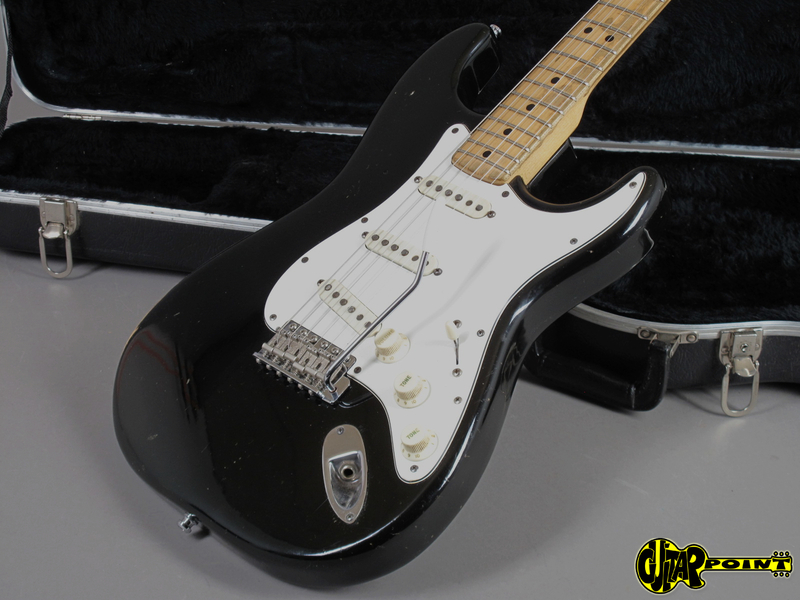 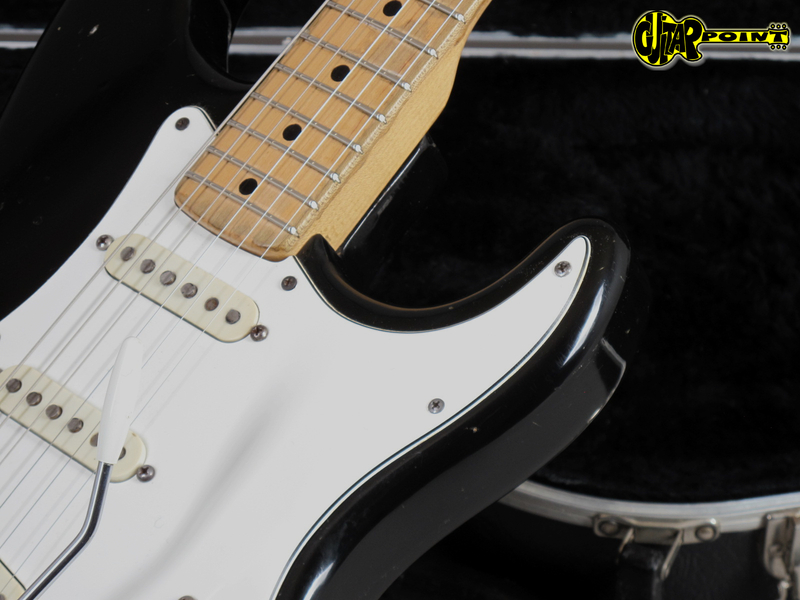 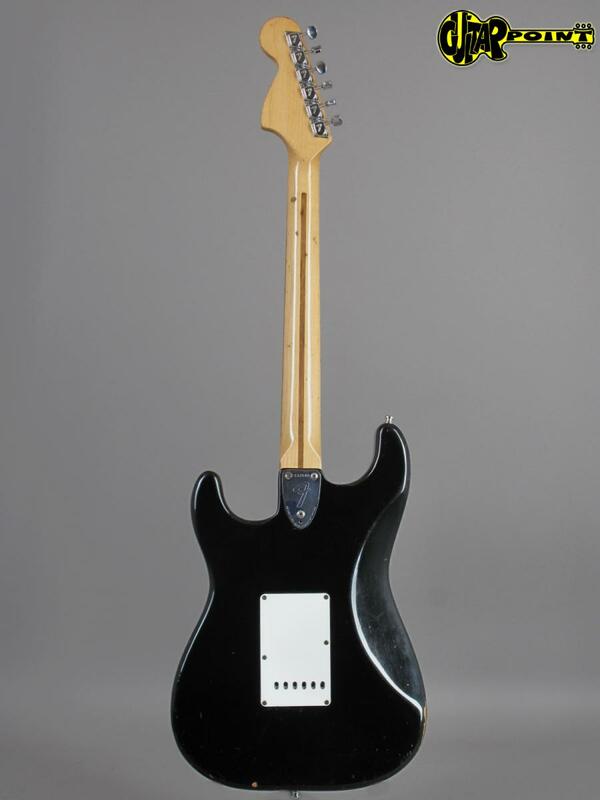 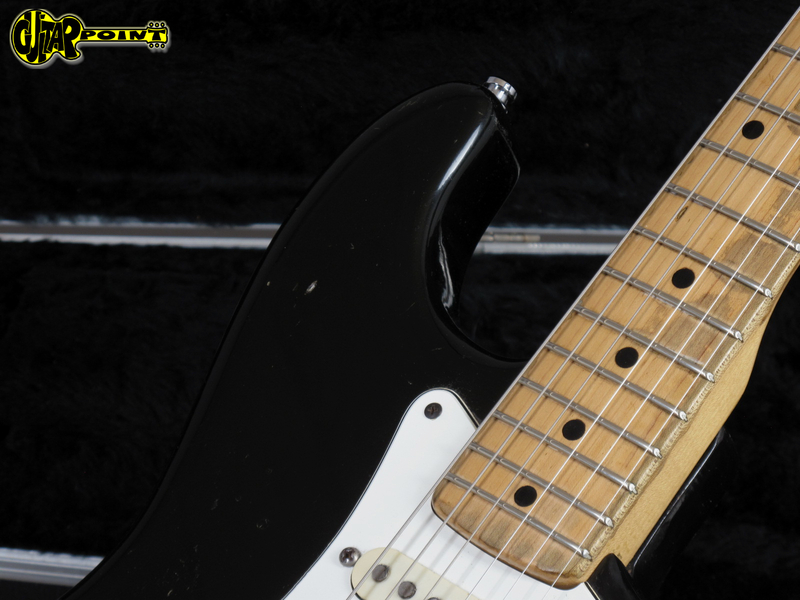 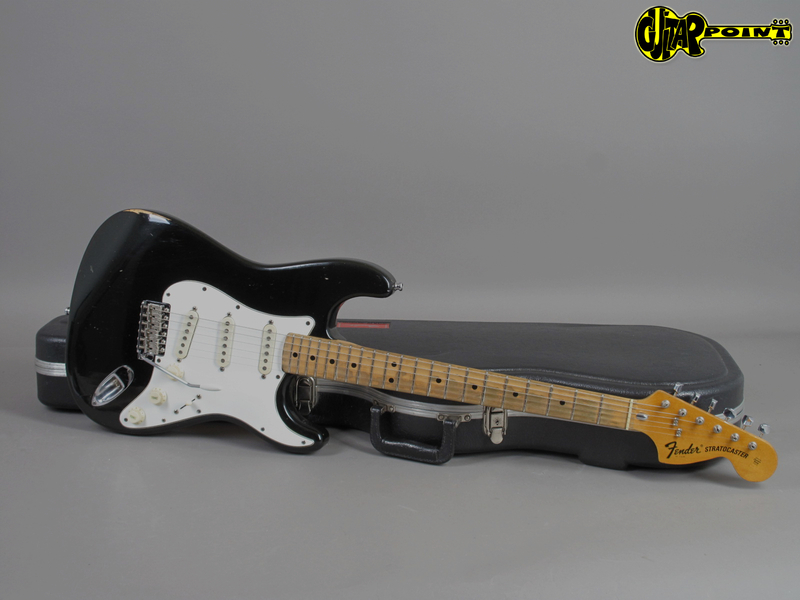 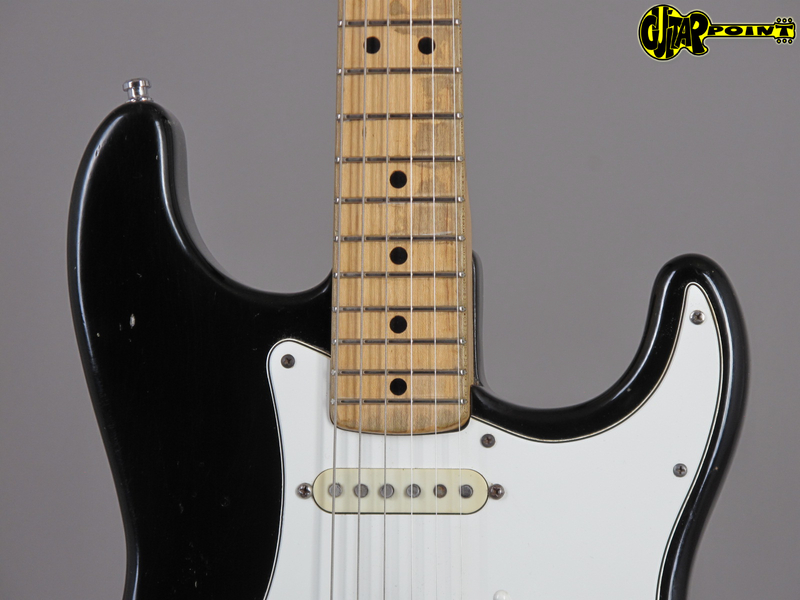 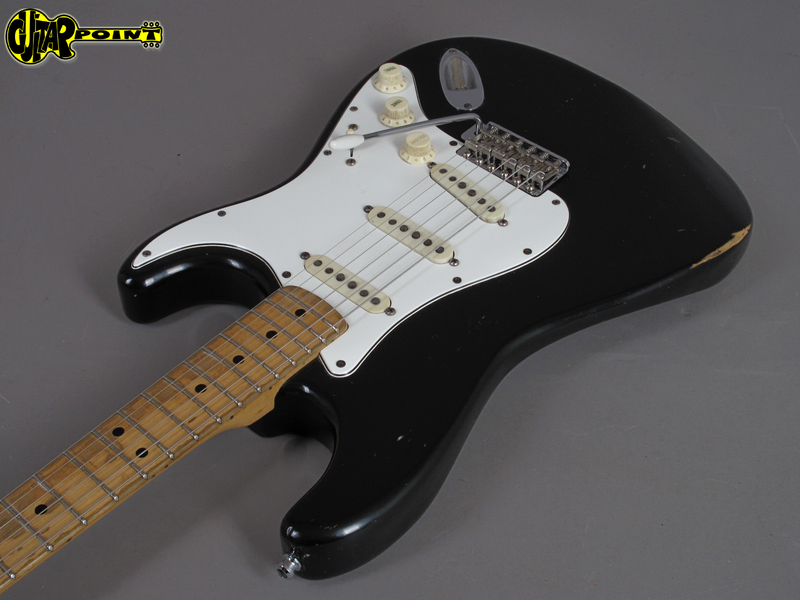 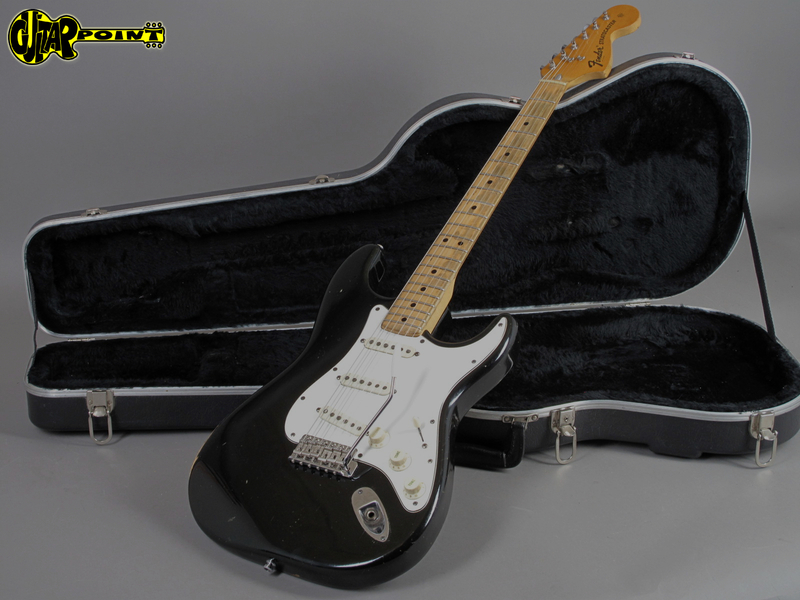 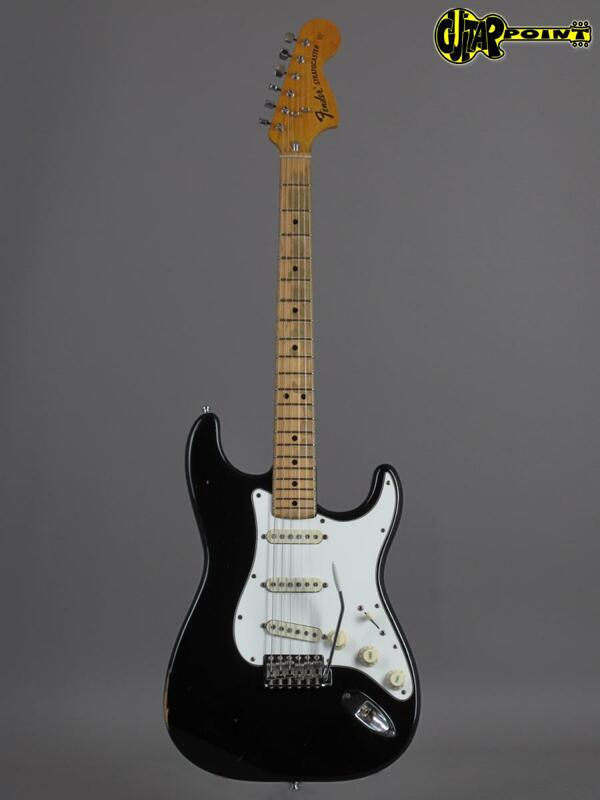 Great sounding 1974 Fender Stratocaster in custom color Black in player's condition. 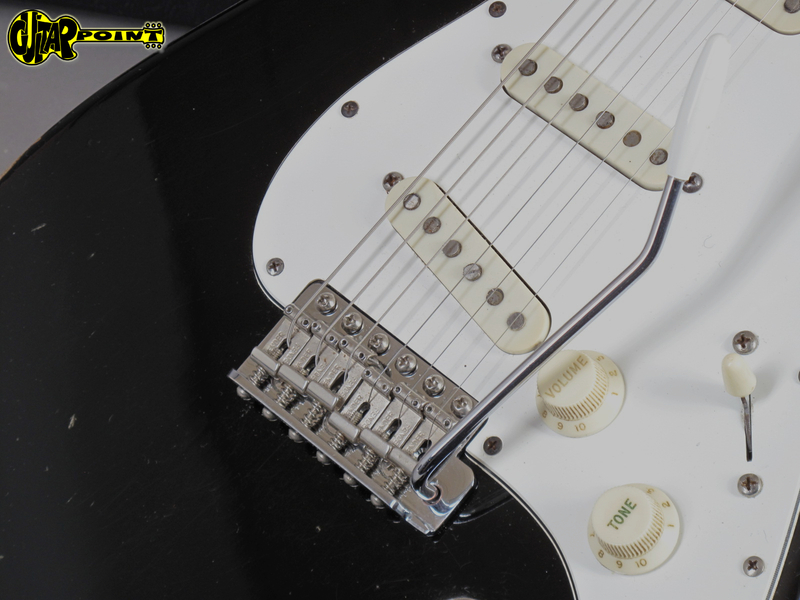 The tremolo has been upgraded to a better sounding vintage tremolo and a 5-way switch has been added for more flexibility. 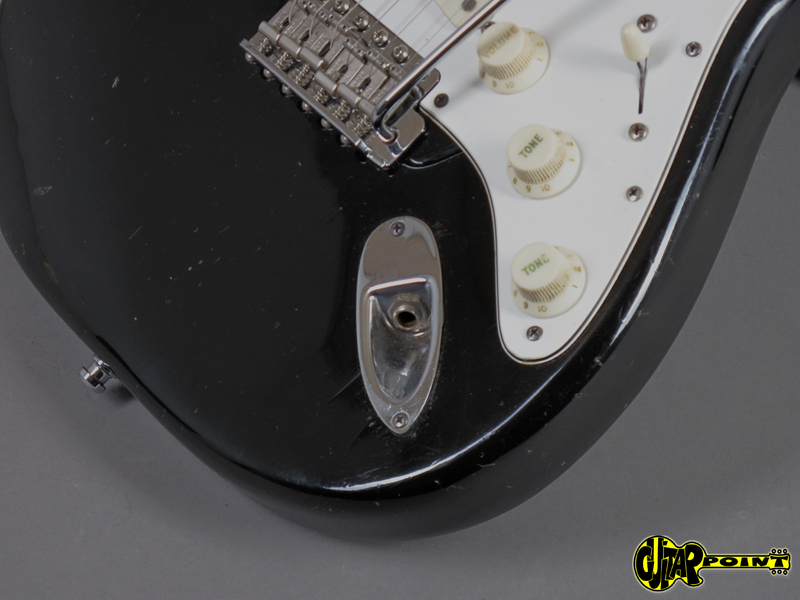 The rest of the electronics is original. 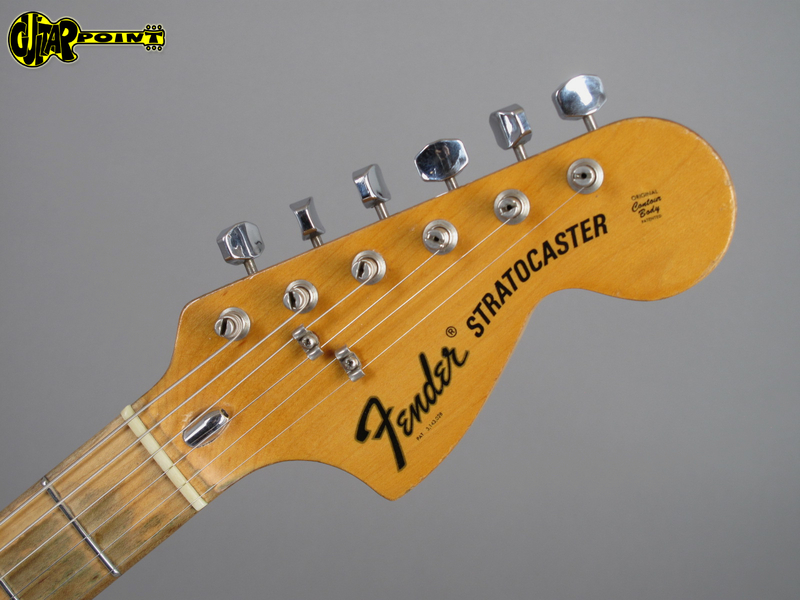 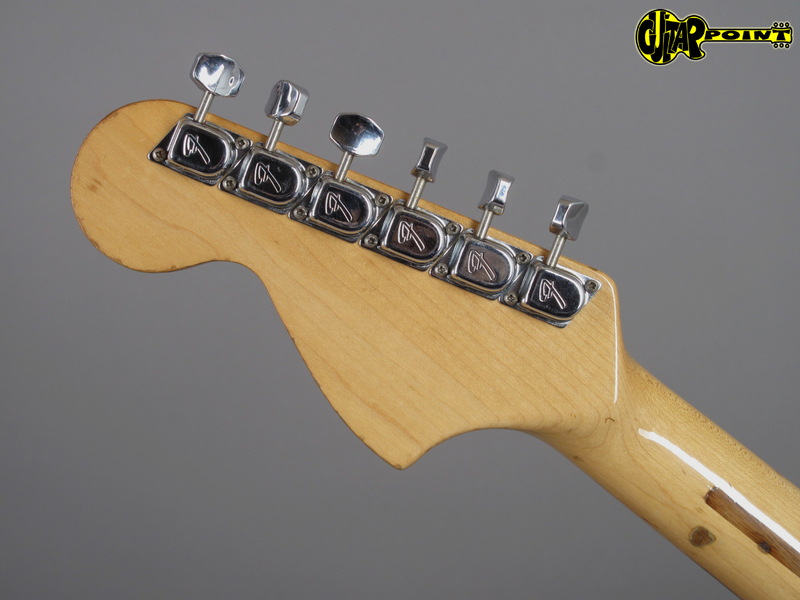 Of course the 3 singlecoils are also original from 1974 and the neck stamp dates to 1974 as well. 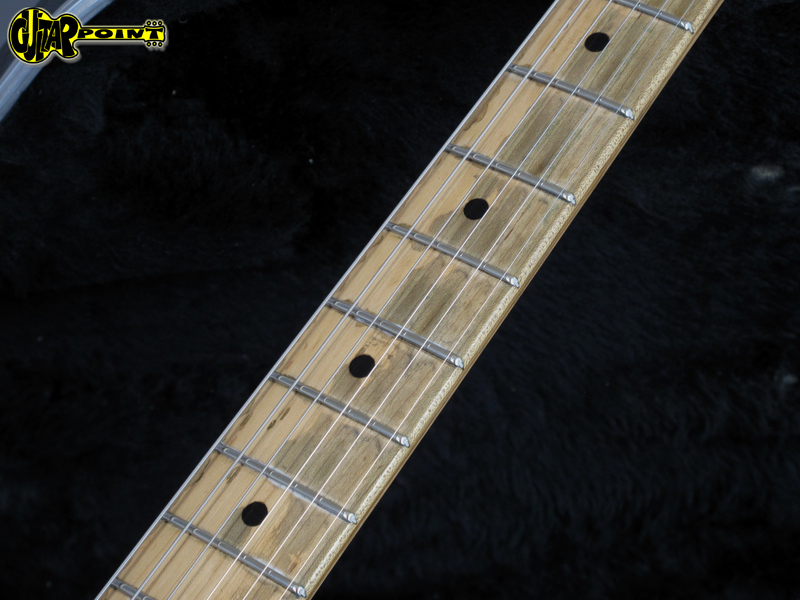 The fretboard has been sanded once and the guitar has a pro refret with big jumbo frets. 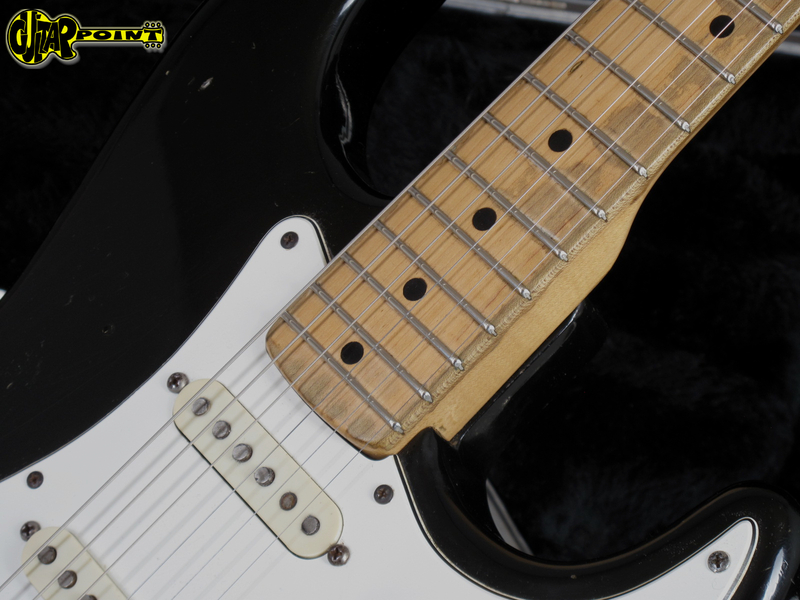 It's got an ash body which is pretty lightweight for this period with 3,67kg. 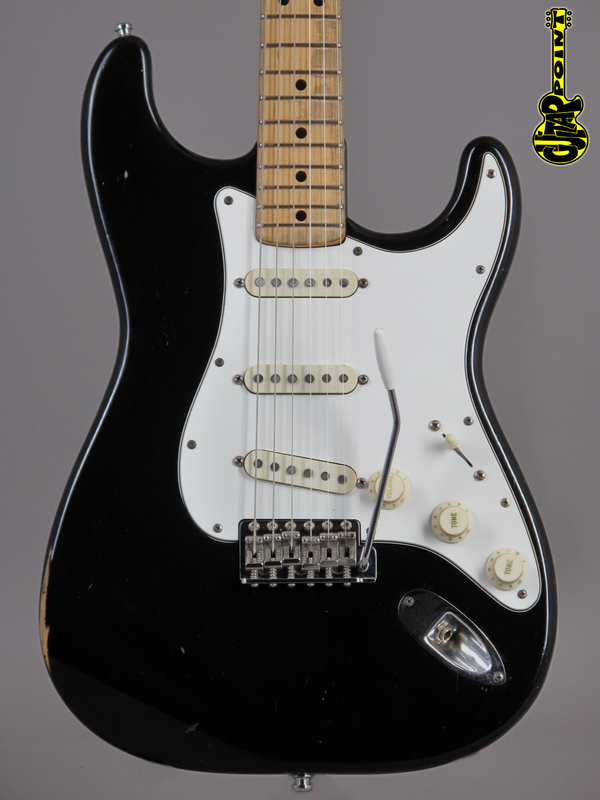 The guitar is the perfectly modded 70s Strat and plays and sounds just great. 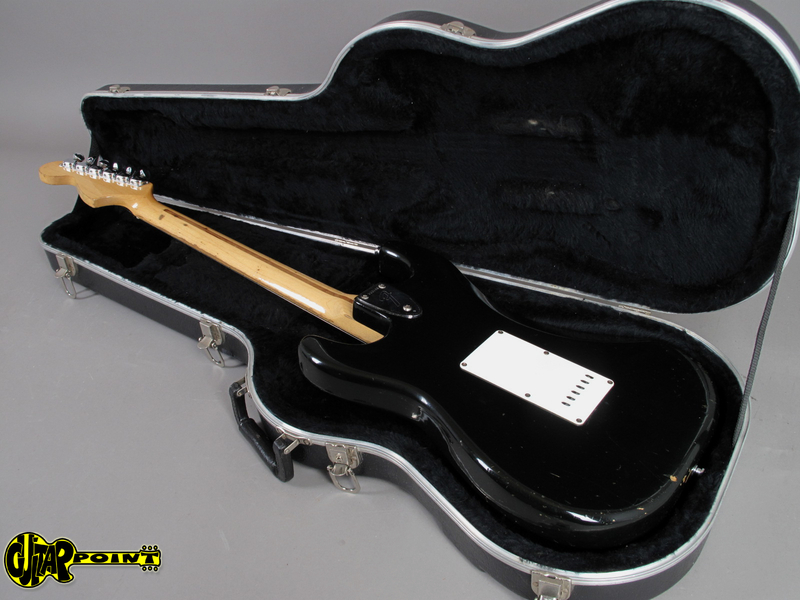 Including later Fender hardshell case.